Public recreational and health events have become increasingly common since the 1970s, from “fun runs” to “walk for the cure” benefits and more. An increasingly popular choice have been “Ciclovías,” which got their start in Bogotá, Colombia, more than 30 years ago and now take place all over the globe — from New York, San Francisco and Los Angeles to Guadalajara, Vancouver and Paris. While the specifics vary, all involve the temporary or permanent closure of streets to motorized traffic. 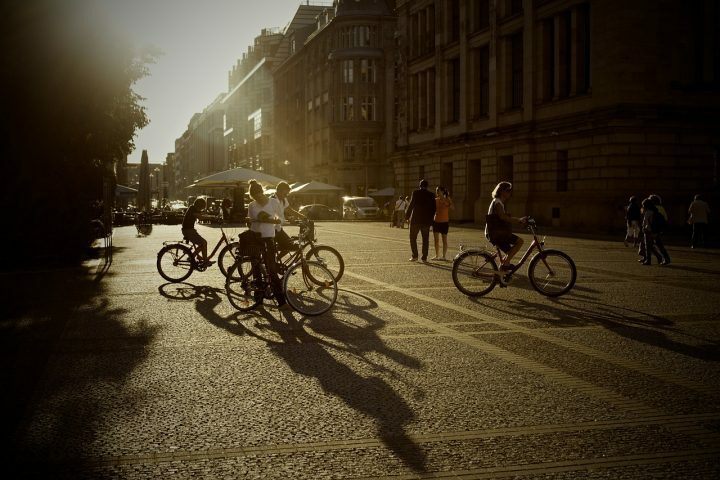 In the place of cars are bike rides, walks, cultural events, and other activities. Many benefits of Ciclovía-type events are plain to see, and there could be health and business advantages as well, but there are costs of planning, execution, and cleanup as well. Which come out on top? A 2011 study published in the Journal of Urban Health, “Do Health Benefits Outweigh the Costs of Mass Recreational Programs? An Economic Analysis of Four Ciclovía Programs,” attempts to answer this question. The work involved researchers from a number of institutions, including the Centers for Disease Control and Prevention, the World Health Organization, San Francisco State University, the Universidad de los Andes in Bogata, and the University of Zurich. The study looks at Ciclovía events in Bogotá, Medellín, Guadalajara, and San Francisco and compares compares their average economic and health benefits to their costs. The data were obtained from the programs’ directors and managers, as well as surveys and counts of users. The average mortality-prevention benefits were calculated using the Health Economic Assessment Tool. Bogotá’s Ciclovía takes place 72 times a year (every Sunday and all holidays) on nearly 100 kilometers of streets. Its per-capita cost was $6, with a cost-to-benefit ratio of 3.23 to 4.26, meaning that for every dollar spent, $3.23 to $4.26 in direct medical costs were saved by increasing overall fitness rates. Guadalajara’s program, called Vía RecreActiva, is held every Sunday on 25 kilometers of streets. The per-capita cost is $6.50, with a cost-to-benefit ratio of 1.23. The Ciclovía in Medellín takes place 158 times a year (three days a week plus holidays) and costs $23.4 per capita. The cost-to-benefit ratio is 1.83. San Francisco’s “Sunday Streets” event, inaugurated in 2008, is now held nine times a year over approximately 50 kilometers of streets. Its cost per capita is $70.50, with a cost-to-benefit ratio of 2.32. A significant reason for the positive cost-benefit ratios of Ciclovía-type events is that they use existing infrastructure. There is also no cost to the majority of users, unlike with private gyms or, say, the rental of an athletic field. “The total benefit of the Ciclovías could be underestimated,” the authors conclude. “Their implementation had the potential of additional benefits including recreation, social capital development, improvements in the population’s quality of life, promotion of efficient and sustainable modes of transportation like bicycling, and a decrease of exposure to air and noise pollution.” They also serve as opportunities to educate participants on health issues. If such benefits were taken into account, the researchers notes, the cost-to-benefit ratios would improve further.